The photography enthusiasts of the mid-19th century were witness to a remarkable series of technological innovations and advancements, beginning with Niepce’s bitumen-based discovery in 1826, through the introduction in 1851 of wet-plate collodion as a high-image-quality, reproducible, and commercially viable process. However, the strict time constraints of the collodion process (the photographer needed to prepare, expose, and develop his photographic plates within 10-15 minutes) meant that the photographer needed to assume a near-professional approach to the task to address these demands. The photographer needed to be able to bring all the required chemistry on-site, and required either a permanent studio or transportable darkroom facility to prepare and develop his plates. For photography to find a wider circle of participants, a less demanding means was needed. Among the first efforts undertaken to address wet collodion’s shortcomings were experiments in additives intended to keep the collodion from completely drying out and extending the working time of the photographic plate. 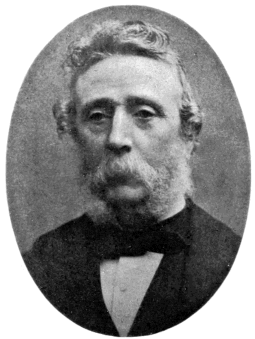 George Shadbolt developed the honey process (honey diluted in distilled water) in 1854, wherein the sugar in the solution kept the collodion moist. This sugar-based concept evolved in further experiments with sweet wort, glycerin, raspberry vinegar, and finally in the Oxymel process. John Dillwyn Llewelyn used Oxymel, a medical tonic of honey and vinegar, in 1856 to keep sensitized collodion moist; plates so treated maintained their photosensitive properties for months, but at the expense of reduced light sensitivity. French scientist Dr. J.M. 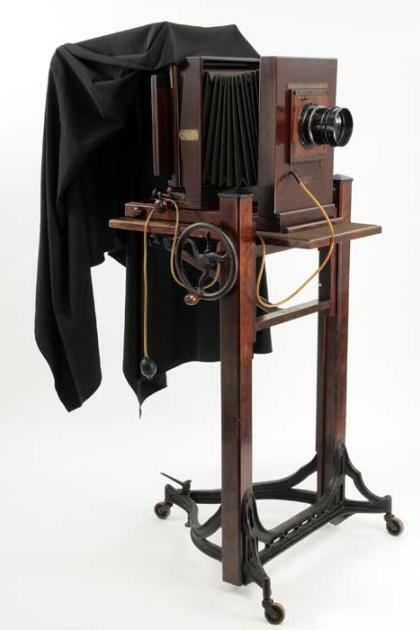 Taupenot developed the first practical collodion dry plates in 1860, employing the dry collodion-albumen process. In this process, a normal collodion plate was washed of excess silver while still wet, then coated with tannic acid and allowed to dry. An additional coating of iodized albumen and another coating of silver nitrate were then added and allowed to dry. These plates could be stored for several weeks before they needed to be exposed, but they were limited by a six times reduction in sensitivity over normal wet plate collodion plates. Despite the loss in sensitivity, the convenience of previously prepared and stored plates held great appeal for photographers, and a small British industry developed in manufacturing and delivering collodion dry plates. However, the limitations of mid-nineteenth century transportation had a greater impact on dry plate success than the actual technical performance of the plates. The time it took for dry plates to be delivered from British factories to New York City was so long that the plates had lost useful light sensitivity – they were better suited as window panes than photographic plates. Further discouraging the use of European-made dry plates, the imported plates were also heavily taxed in the United States due to U.S. import tariffs on glass designed to protect the domestic glass manufacturing industry. In 1871, Dr. Richard Leach Maddox, a London physician, published an article in the British Journal of Photography introducing a process wherein the sensitizing chemicals could be coated on a glass plate employing a gelatin emulsion, versus a collodion foundation. This gelatin emulsion consisted of a mixture of gelatin, nitric acid, hydrochloric acid, cadmium bromide, and silver nitrate, coated on a glass plate and allowed to dry. This new dry plate technology offered more than simply long storage life. By happy circumstance it was discovered that the gelatin plates were about 60 times more light sensitive than collodion plates. Like Archer before him, Maddox did not choose to patent protect his discovery and invention; rather, he shared the knowledge of the gelatin dry plate process freely with the growing photographic community. This openness made it possible for improvements to his process to be quickly discovered and shared. John Burgess and Richard Kennet offered refinements to the process in 1873, and Charles Harper Bennett developed a method of hardening the emulsion, increasing its friction resistance. Bennett then developed methods by 1878 to make the emulsion more stable and increased its light sensitivity to the point where exposures now could be made in a fraction of a second. The technology had by now progressed to the point where it was practical to manufacture photographic plates for broad consumption, as they now offered photographers long term storage, stability, and increased light sensitivity, all without the mess and bother of wet plate collodion. Within ten years of Maddox’s introduction of the gelatin dry plate, they were being commonly produced in factories and distributed widely. Their ease of use and their ready availability expanded the circle of active photographers, prompting a large increase in amateur participation. In 1877, one of these newcomers, 24-year-old George Eastman, of Rochester, New York, started experimenting in his mother’s kitchen. He learned to make his own gelatin dry plates, based on the writings of the British innovators, including Bennett. By 1878 he had not only refined his process, but he had invented a machine to mass–produce dry plates. Later in 1878, while still working as a bank clerk, Eastman travelled to England to solicit commercial interest in his as-yet unpatented dry plate machine. 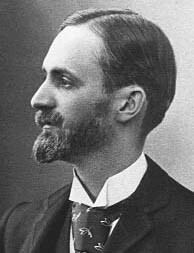 There Eastman was introduced to Charles Fry and his partner, Charles Bennett, the same man whose earlier writings had inspired his own work. Eastman quickly realized that these innovators of dry plate technology were unable to meet the demands for dry plates using the current state-of-the-art equipment, so he returned to the U.S. and applied for a patent on his dry plate coating machine in 1879. In 1880 he began commercial production of dry plates in a rented loft in Rochester, and in 1881, with demand for dry plates soaring, he left his job with the bank to open the Eastman Dry Plate Company as a full-time venture. In 1883 the Eastman Dry Plate Company moved to the current site of Kodak headquarters, and within a year Eastman would begin experimenting with a new carrier for photographic emulsion – celluloid, or film. This is the fifth installment of an ongoing series on the history and development of the art of photography. It is inspired by the History of Photography class taught by Professor Jeff Curto in the College of DuPage Photography Program. While not a slavish copy of his work, I freely admit to following his general course outline and sharing many of the perspectives he has developed. I would encourage anyone with a greater interest in this subject to follow his course online via video podcasts, at http://photohistory.jeffcurto.com.